Beatlegirl Quotes: Click to View List Entries. This site is dedicated to the women who have inspired, loved and been loved by John, Paul George and Richard in thanks for taking such good care of them for us. All information presented here has come from previously published material and it would be most appreciated if any inaccuracies could be reported to the webmistress so that the lives of these special ladies can be correctly represented. I have tried to use original sources from the era in which the girls were with The Beatles, and quotes from the girls and guys themselves wherever possible. Therefore the website contains the views and accounts of those around at the time, not those of the webmistress. 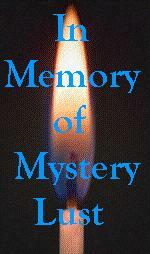 I would also like to dedicate this site in memory of a lovely lady from the world of Beatlegirl admirers, Mystery. She created the first site I know of to honour our newest (and greatly under-appreciated) Beatlegirl, Heather Mills-McCartney : One Step Ahead which was continued by her lovely daughter Samantha for a long while, and is now looked after by Jeannette.